Populist candidates opposed to mass immigration represent a direct threat to that worldview. “The next EU elections might also bring more populists and extremists into the European Parliament, which could undermine all our achievements to date,” one internal OSF document cautioned. The document, marked “confidential,” appears to be from 2013. Another document, shown below, lists many of OSF’s payments related to the 2014 European Parliamentary elections. Another $49,930 went to the Institute for European Policy for “Naming and shaming populism in [the European Parliament] election campaign” in the Czech Republic, Hungary and Slovakia. OSF may not financially support candidates for public office, but it is clear from the documents that OSF did support organizations who opposed candidates who clash with the OSF worldview. A $46,840 grant to the Center for Peace Studies, for example, was meant to “stimulate public support and election turnout among ambivalent voters in order to prevent the election of xenophobic, racist, and other radical political options representing Croatia at the EU level.” Supporting restrictions on immigration is typically synonymous with “xenophobia” in OSF’s internal documents. According to the documents, UNITED teamed up with the European Network Against Racism (ENAR) and Hope not Hate to push back against populist candidates in all 28 member states of the EU, while “particularly focusing” on five countries: France, Greece, Hungary, Italy, and the Netherlands. “Local groups in these five countries will be formed to organize meetings and door-to-door campaigns ahead of the EP elections to (1) encourage voters to register and vote; and (2) to vote for non-extremist candidates,” the documents state. Netherlands, a separate OSF document explained, was one of the five “priority countries” because of the rise of the far-right PPV party, lead by populist Geert Wilders. Another document, from two months before the 2014 EP elections, stated that OSF’s strategy in the Netherlands varied depending on the success of Wilders and PPV. “The outcome of the European Parliament elections in May 2014 and how well the PPV, the populist party of Geert Wilders, does will help to determine [OSF’s] next steps in the Netherlands,” the document stated. 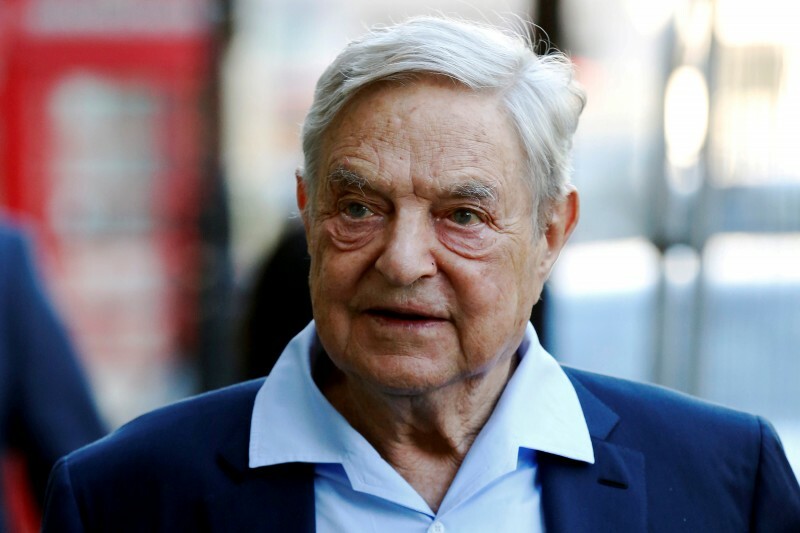 In total, Soros gave more than $6 million to 90 different partner organizations to influence the outcome of the 2014 European Parliamentary elections. 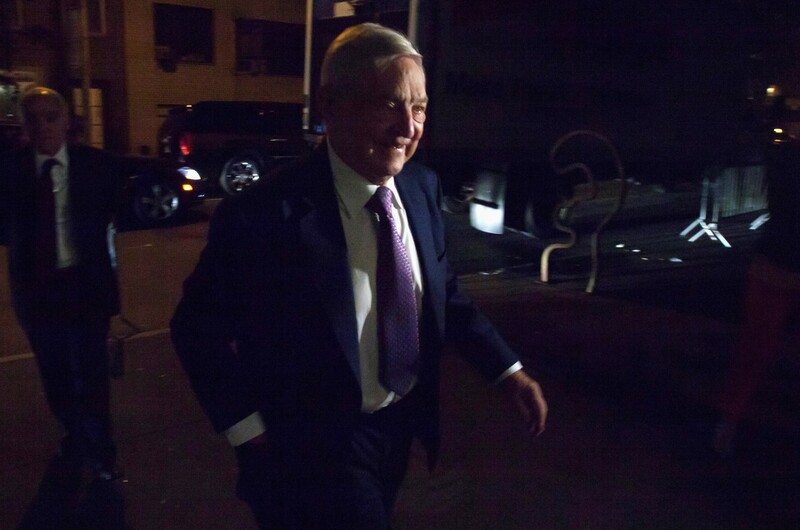 The documents call into question whether Soros continues to intervene in European elections behind the scenes, as he did in 2014, to try and defeat populist candidates. This question is especially pertinent now amidst a stretch of elections across Europe that have served as referenda on nationalism, which Soros opposes, and globalism, which Soros favors. In Italy, center-left prime minister Matteo Renzi announced his resignation last December after an “extraordinarily clear” defeat in a constitutional referendum that was seen as a victory for populist and anti-EU forces in the country. Italy’s populist 5Star Movement has continued to pose a threat to the political establishment in Italy. An OSF spokesperson reached over the phone declined to elaborate on the emailed statement, and hung up the phone when pressed further on OSF’s political involvement in Europe. Geert Wilders’ PPV party — which Soros specifically targeted in 2014 — came in second place in the Dutch elections last month, falling short of expectations. In France, one of the five countries targeted by Soros in 2014, Marine Le Pen is likely to make it past the first round of voting on April 23 to the run-off election on May 7. As a populist candidate opposing mass immigration and wary of Islamic extremism, Le Pen is exactly the kind of candidate that Soros poured money into opposing in 2014. Viktor Orban, Hungary’s populist prime minister, is set to sign a bill that would prohibit foreign funding of universities in Hungary, including the Soros-funded Central European University. The bill is believed to be an attempt at limiting Soros’ influence in Hungary. The leaked documents were posted last summer by DC Leaks, the same organization that posted the personal emails of former secretary of state and retired Gen. Colin Powell. U.S. intelligence agencies believe DC Leaks has acted as a front group for Russian hackers. OSF has previously confirmed the documents’ authenticity. The documents initially became public in the summer of 2016. Only a handful of outlets, led by The Daily Caller, covered the leaks, which revealed: OSF secretly paid staffers to Moldova’s pro-EU prime minister — funneled the money through a German nonprofit in order to skirt Moldovan laws; OSF funded opposition research on critics of radical Islam; OSF tried to influence Supreme Court rulings with well-funded PR campaigns; and an OSF-funded campaign to influence Pope Francis, among other things. Some of the documents, all of which can be found here, are yet to be thoroughly analyzed. “We couldn’t find a single story on the New York Times, CNN, Washington Post, CBS News or other major news sites that even noted the existence of these leaked documents, let alone reported on what’s in them,” an Investor’s Business Daily editorial said last summer.